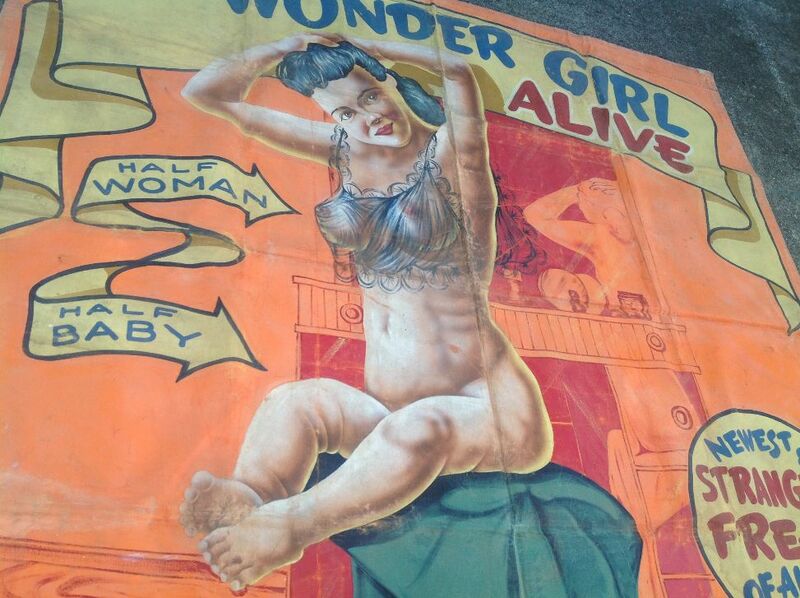 Antique canvas circus/carnival sideshow freak banner titled The Wonder Girl Half Woman Half Baby in as found condition. 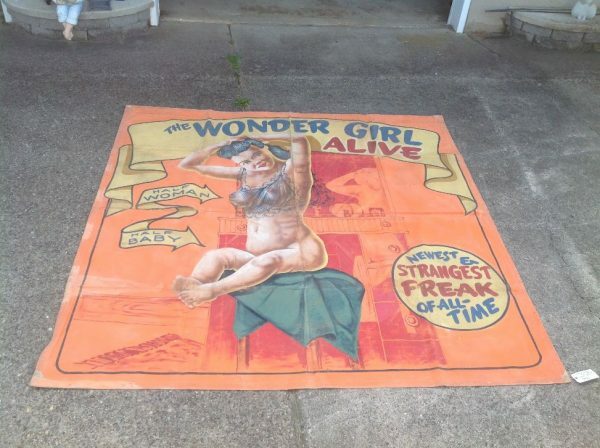 Measuring 96″(8′) x 96″(8′), banner has a subject matter that speaks for itself, unusual. No corner rings…….